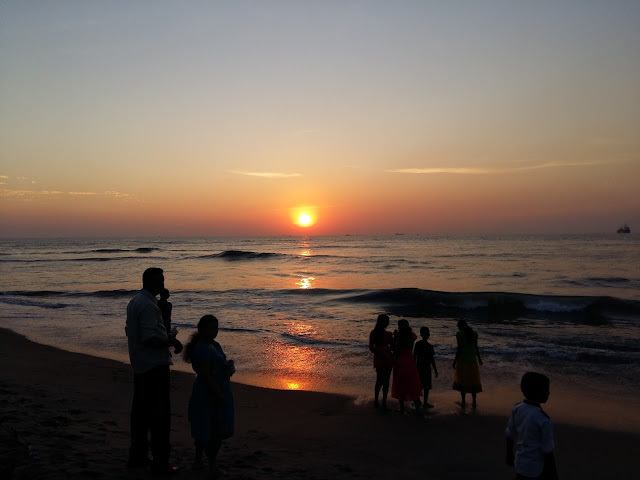 A town by the Arabian Sea which is more popular of a destination that the capital of its state, a sort of gateway to the western belt of Southern India and a base for all tourists heading to the state – Cochin or Kochi is a nice metropolitan town in Kerala. This vibrant city is the symbol of prosperity of the state and embraces each tourist with the urban colors of Kerala. The people are welcoming and courteous and make you feel at home. Moreover, this is an important sea-port on the western coast, only after Mumbai and this strategic location often qualify it to be called the Queen of Arabian. Strictly speaking, Cochin is a small town. But, Cochin has outgrown its original bounds and is now the general name given to much of the region adjoining the original town, which now includes Cochin, Fort Kochi, Mattancherry, Ernakulam and many other nearby towns and villages. This is what was our destination to welcome the new year and as planned we were crossing the city suburbs by about noon. We reached the guest house located beside the Ernakulam Junction railway station and checked into our room. A nice setup, with all the luxuries one could expect in an accommodation and a few co-travelers welcomed us. Yes, mom and dad joined us for the day to celebrate the coming of a new year together. After a quick lunch and some rest, we were set to begin exploring the city. First stop for the day was the Dutch Palace. The Palace, also known as the Mattancherry Palace because of its location, was originally built by the Portuguese. However, it was taken over by the Dutch who presented it to the Raja of Kochi in 17th Century after some modifications. Since then, it has been the official residence of the King and has seen many coronations. The palace has a fine collection of mural paintings depicting scenes from the Hindu epics Mahabharata and Ramayana. The showcases present the entire lineage of rulers of Kochi including various items used by them – weaponry, equipment, dresses, and coins etc. The rich history of the city and the region are brought to life at this Palace. As we moved past the palace, we paid a quick visit to the Vasco house. This small shelter is believed to be one of the oldest Portuguese houses in India. The abode is decorated with attractive artwork and features European glass paned windows and verandahs. The architectural beauty and artwork aside, the prime significance of this house lies in its history. Vasco da Gama is believed to have lived here. After this point, we moved to the Fort Kochi area which is one of the most revered places in the region. It was also the venue for New Year Celebrations. However, we had a few points to cover before the night fell. Next destination on our itinerary was the 14th-century church, St. Francis Cathedral in the Fort Kochi region. It is known to be the oldest church built by Europeans in India. It is believed that Vasco da Gama fell ill when he arrived in Kerala for this 3rd Visit and later died here. He was buried in the St. Francis Church. Later his son took his remains back to Portugal, however, his burial spot inside the church has been clearly marked out. Locals flock to the church for prayers. It has become one of the landmarks of the city. Later we visited the flower exhibition where numerous varieties of flowers were decorated in interesting shapes and depicted specific phenomenon/incidents. In the evening we went to the Fort Kochi beach to roam around the area and did some shopping for souvenirs in the bylanes. While we were here for a different purpose, there was still time for those celebrations. We saw hectic preparations for the event to mark the beginning of the New Year. Artisans were busy putting final touches to “Pappan Ji”, the fiction based character whose large statue is the center of the celebrations here. I tried asking a few locals but no one had an idea of the symbolism of the practice and its origin. While strolling on the beach we observed large nets extended on metallic frames and this definitely intrigued us. We went near the arrangement and inquired about their purpose. These were Chinese Fishing Nets, the unique identity of Cochin. It is believed that traders from the court of the Chinese ruler Kublai Khan introduced these nets here. Oddly, these nets are found only in Kochi, outside China! Many fishermen earn their livelihood by fishing using these massive nets. A whole stretch of the coast along Fort Kochi and Vypeen are dotted with these nets. We spent a couple of hours on the beach and got a chance to observe the sunset there. A stroll along the beach, particularly at sunset with the Chinese fishing nets and sailing ships in the background, is a memorable experience. Many European style bungalows can be seen along the shoreline. The coastal stretch has loads of small stalls, which make on-demand traditional cuisines using freshly caught fish. Of course, being vegetarian to the core, we avoided them but could see the mouthwatering impact they had on the locals. By now the night had started befalling on this corner of the world and the clock indicated that there were limited moments left of the year. It was about 11PM when the hustle on the beach suddenly increased and it seemed that almost entire Kochi, probably including all suburbs, were present at the beach that moment. By the time midnight approached everyone had taken their place across the expanse of the beach. Some were standing, others were gossiping, some had made their make-do arrangements for settling down on the sand and some were strolling. In all everyone was excited for whatever was going to happen next. There was a raised dais where a band was playing peppy numbers to keep the excitement going and the public engaged. All shops and houses were decorated with lighting which gave the mood of the city as a whole. Roads were decorated too with paper cuttings and trees were lighted. Hawkers were having their day (or night) selling toys, snacks, drinks, and souvenirs. Right at the stroke of 12, the lights were off and a spark shined across. The spark ignited the crackers tied to the effigy of Pappan Ji and the large-scale fireworks brought him down to earth. While this happened on land, a couple of ships anchored close to the shores blew their horns in full force to mark the arrival of the New Year. Everyone wished each other happiness and prosperity in the coming year and bid goodbye to 2015, which had just gone by. As the time passed, the cheering drowned and people started retreating. We were back at our abode in the city by 1 AM and called it a night, not before another round of wishing each other and friends over the phone. It was definitely a unique celebration of New Year and we had witnessed and was very different to the parties that urban India sees in plush hotels and clubs. This is what the power of tradition is – getting the entire city together at a moment to celebrate the small joys of life. As we slept away, all we thought of was the good time we had in Kochi and better times that lie ahead in the trip. Hope you enjoyed the article and probably, at least some of you, heard about this tradition for the first time. In case this raised some curiosities, try and come down for the next 31st night celebrations here and have a first-hand experience. Until then keep visiting destinations in India and abroad aboard Expressions by KT: Tarun’s Blog. And yeah, before you hit the cross on the corner, drop a note in comments – appreciation, criticism or feedback! !